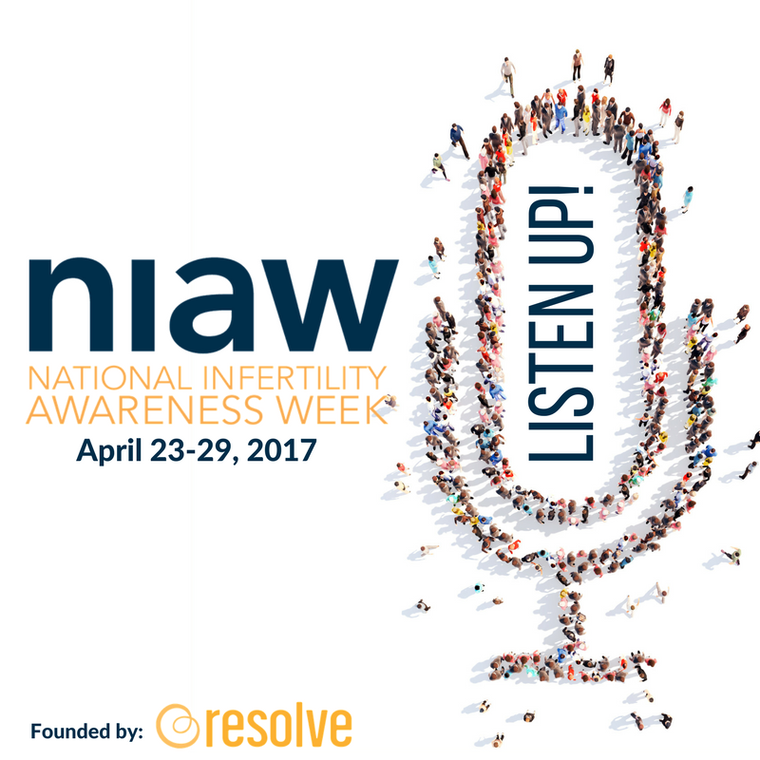 It’s the final day of National Infertility Awareness Week in the US and there are still lots of ways to get involved. Check out the website for events like the Walk of Hope if you live in the States, but those who don’t you can still support the week on social media using the hashtags #ListenUp #NIAW to help raise the profile of the week and the cause. This year’s theme is “Listen Up!” and RESOLVE, the US support network, is hoping that anyone who cares about infertility can feel empowered to do something that makes a difference, either in your own family building journey or to help someone else. They are calling on everyone to “Listen Up!” and become part of the movement. This entry was posted in Advice and support and tagged #ListenUp, fertility, infertility, National Infertility Awareness Week, Resolve by fertilitymatters. Bookmark the permalink.